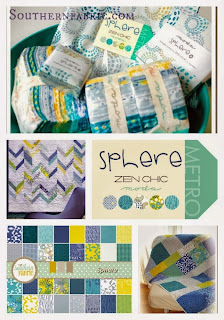 My Quilt Infatuation: January Sponsor Roundup! So here's my disclaimer- If you've turned over a new leaf and decided that 2014 is the year that you bust your stash and aren't adding to it...well, this post probably isn't for you. 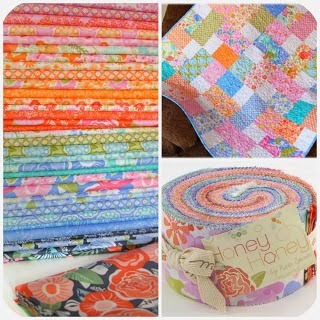 Otherwise, read on my friends and allow me to be your fabric frenzy enabler! After all, it's a brand new year! Time to take advantage of some of the great sales that are going on and replenish your stash from all of that holiday gift sewing. Yeah, I could hardly type that with a straight face. If you're anything like me, my stash is NEVER in danger of actually needing to be replenished- but that doesn't stop me from doing it anyway. Five Monkey Fabrics is constantly adding new fabrics to their sale section, and right now, they are also offering free shipping on domestic orders $50 or more! Gray Matters by Jackie Savage McFee, Norwegian Woods by Michael Miller, Cute Zoo by Michael Miller, Ziggy by Timeless Treasures, Woodland Adventure from Camelot Cottons, Les Amis by Patty Sloniger, Global Bazaar by Josephine Kimberling, Tsuru by Rashida Coleman Hale for Cloud9, Roughing It by Laurie Wisbrun, Gabbie by Maude Asbury and much MORE! There really are too many to list, so you'll just have to click on the button and check it out! 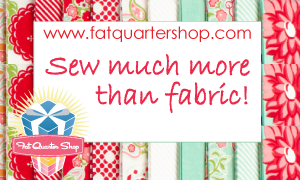 The Fat Quarter Shop is always a fun place to browse, but especially so right now, when they've added all of their holiday fabrics to their clearance section! 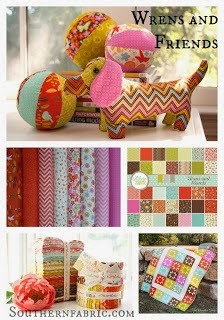 So, if you want to get a jump start on some cute projects for next Christmas, take a look! Bumbletees doesn't have a specific section just for their sale fabrics. 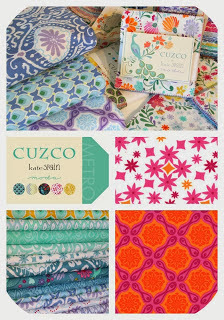 They're sprinkled throughout, but they have marked several fabrics down to $6.00 a yard, some at $8.25/yd, and all chevron fabrics are $6.50 a yard. That's pretty tough to beat! Fabric Ala Carte is still running it's 5TH ANNIVERSARY SALE! Use coupon code 5THANNIVERSARY for FREE domestic shipping for any purchase of $30 or more! And while you're browsing, be sure to check the CLEARANCE section for big markdowns. Up to 50% off! Just FYI- you can also sign up for an email newsletter from Fabric Tree to learn about the latest sales and new fabrics (including the numerous collections set to arrive after they move). Click on the link to sign up! Well, hopefully I've given you plenty of excuse to engage in a little bit of fabric retail therapy. Have fun shopping! My stash runneth over, but it isn't stopping me either! You are dangerous!! I added to my stash this fall, so I need to ease up a bit...but you are tempting me. Welcome Back to NTT, and Bring on 2014!